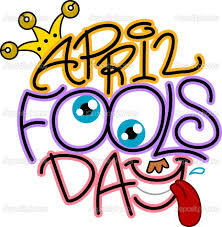 YouTube's 2013 April Fool says it was all an eight year competition! You've got to love April the 1st! For whatever historical reason there was we are allowed to play pranks on each other for a morning and boy do we get into it. Your favourite news station will have undoubtedly broadcast some complete gobble-di-gook which someone would have fallen for and tech companies are no different. YouTube, now that it's part of Google, joins a long historic line of internet based pranks and their latest is another excellent attempt. Essentially the guys at YouTube announced that they have had as many submissions as they think necessary and so they will employ a team of 30,000 people to sift through your home videos to find the best one! Along the way they noted that just because 'Gangnam Style' has the most views, it's not automatically the best! Anyways head down to the video below and have a little look! If you want to see some more then head past the YouTube April Fools for a round up of the best in recent years from MKBHD!